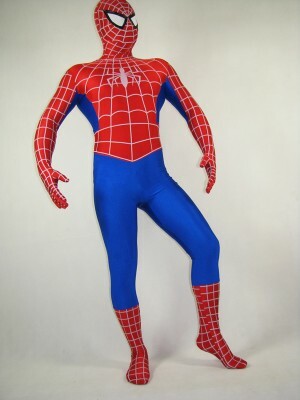 Standard Spiderman costume pattern catsuit with white stripes attached with. Two huge spider patterns are printed at the front chest. A transparent eyes cover is attached for better viewing, trousers are color with ordinary blue.only the front has the spider.